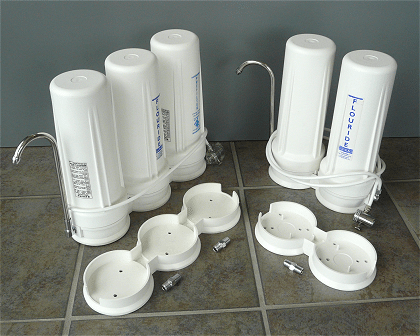 Benchtop filters are either available as double or triple assemblies. Alternatively, the components can be added on to our existing kits so as to incorporate special application cartridges into your system. 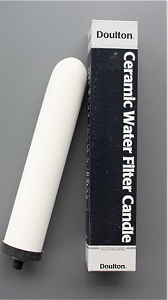 Pre Filtration for sediment or bacteria protection of expensive final filters , or to extend cleaning intervals on ceramic filters when dirty water conditions exist. ADD-ON COMPONENTS FOR UPGRADING YOUR EXISTING BENCHTOP FILTER. Please select your required filter cartridges from the filter cartidges area, after selecting from your upgrade components below. 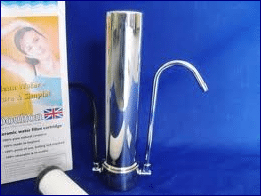 Doulton, a company more commonly recognised for their fine china has been a leading name in drinking water filtration for over 150 years. 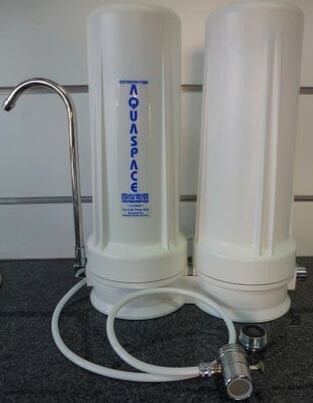 The Ultracarb is a ceramic cartridge for use as a pre-filter for the removal of parasites and bacteria, which also internally has a specially formulated carbon block and ion exchange filter, which enables it to remove an extensive range of chemicals and heavy metals from the water. This core of this filter has a five thousand litre life which generally translates to 18 months for a family of four. When the water flow slows you simply remove the cartridge, scrub off the discoloured outer layer and re-install. The incorporation of silver locked within the ceramic structure inhibits the growth of bacteria. Doulton holds accreditation from the World Health Organisation, National Sanitation Foundation, EPA and a long list of other health departments in numerous countries throughout the world. 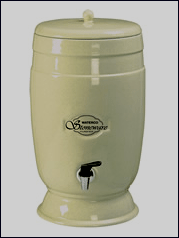 Doulton, a company more commonly recognised for their fine china has been a leading name in drinking water filtration for over 150 years. 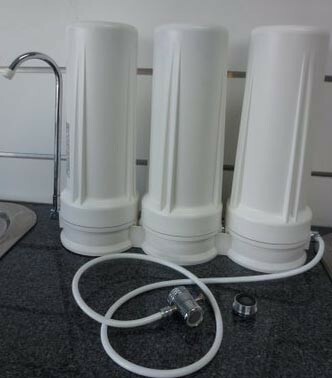 The Ultracarb is a ceramic cartridge for use as a pre-filter for the removal of parasites and bacteria, which also internally has a specially formulated carbon block and ion exchange filter, which enables it to remove an extensive range of chemicals and heavy metals from the water. When the water flow slows you simply remove the cartridge, scrub off the discoloured outer layer and re-install. 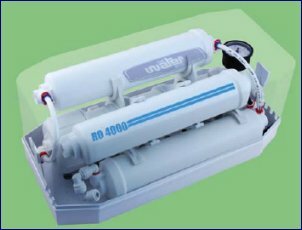 The core of this filter has an 1800 litre life which generally equates to an annual change. 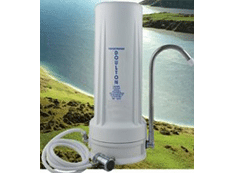 Developed by NASA to far exceed the contaminant removal abilities of any other filter, whilst leaving in beneficial minerals such as calcium, magnesium and potassium. 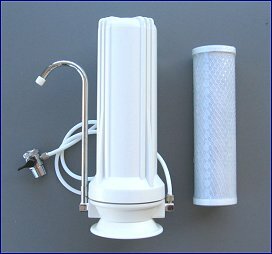 Having to develop a filtration media capable of protecting against potential radioactive contamination and in emergencies for astronauts to produce potable water from urine, has given the AQUASPACE unique features for the removal of organic and inorganic chemicals, heavy metals, nitrates, herbicides, pesticides and many other contaminates. NASA regards this filter as one of the most successful adaptations of space age technology to benefit every day human life. One gram of the AQUASPACE media has a surface area of 2000 sq metres, hence its superior absorption capabilities. Healthy, good tasting water for drinking, cooking, making ice, tea and coffee for under 3 cents a litre. 3800 litres or 12 month life (When protected by a pre filter).